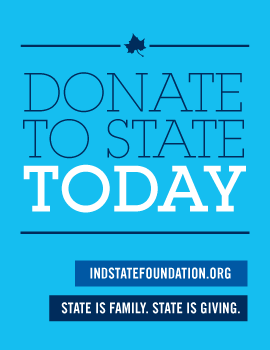 Media and Public Relations is a resource for journalists interested in information about Indiana State University. This team’s primary goal is to enhance the reputation and visibility of the university through its work with local, regional, national and international media outlets. By engaging and building relationships with the media, and through collaboration with colleges and units across the university, Media and Public Relations publicizes research, innovations, human interest stories and major events, and provides leadership and direction in the areas of issues and crisis management. This team works closely with the University Police to issue crime and weather alerts when needed. Media Relations also manages media inquiries on behalf of the university. When the news media contacts the office, Media Relations works to identify the most suitable individual to respond to a specific inquiry. Media Relations staff members also serve as official spokespeople for the university as appropriate. If the news media contacts an individual or office on campus directly, please inform Media Relations immediately.